Noah Detweiler. Photo courtesy Missionary Church Historical Trust. Noah Kennedy Detweiler (Detwiler) was a pastor and prominent evangelist of the Reforming Mennonite Society and its successors into the period of the Mennonite Brethren in Christ church. Noah Detweiler was the firstborn of his parents Benjamin Detweiler (23 November 1813-1900) and Elizabeth Kennedy (7 June 1820-1900). Benjamin and Elizabeth had eleven more children, seven sons and five daughters. Benjamin was from Pennsylvania and Elizabeth from Inverness, Scotland. Noah was born 23 March 1839 on the farm near Roseville, Waterloo County, Ontario, Canada. His family attended the Detweiler Meeting House near Roseville, and he had the benefit of schooling available in the community. Noah later preached in German as easily as in English. On 4th of September 1860, Noah married Veronica “Fanny” Busch/Bush of Wellesley Township in Waterloo County. Fanny’s parents, Franz and Magdalena Busch, were from Germany, where she was born on 10 February 1839 (or 1837). She immigrated to Canada in 1851. Together, Noah and Fanny had seven girls, four of whom lived to adulthood. Noah died on Christmas Day 1914. Fanny lived to 13 November 1921. Both are buried at First Mennonite Church, Kitchener, Ontario. Noah Detweiler was converted when 27 years old, that is, about 1865 or 1866, while farming in Woolwich Township. In 1873, Noah “entered the ministry,” perhaps with the New Mennonites of the Blair/New Dundee/Bright area before the Reforming Mennonite Society was officially formed. When that Society formed in 1874, Noah was received as the Canada Conference’s first “preacher on trial” and was ordained as an Elder by Solomon Eby at their conference in Port Elgin, Ontario. He remained a member of the Canada/Ontario Conference of the Mennonite Brethren in Christ Church until his death. The Reforming/ United / Evangelical United Mennonite Church group moved to an itinerant ministry copying the Methodist-style polity of the Evangelical Association. Noah Detweiler served at Port Elgin, in Bruce County; Nottawasaga in Simcoe County; Markham circuit in York County (1879-1881); Berlin (Kitchener) (1882-1884), Bethel circuit (1888-1891) around New Dundee in Waterloo County; and missions in Toronto (1898-1901, 1903-1904). The Conference appointed Noah Detweiler as “tabernacle evangelist” for various periods: most notably two months in Kansas in 1881, in Ontario from 1884 to 1888, 1893-1898, and 1901-1902, as well as two years seconded to the Pennsylvania Conference of the MBiC (1891-1893). Noah sent reports of his evangelistic work to the denominational magazine, the Gospel Banner, but rarely teaching articles. Called by Missionary Church historian Everek Storms one of the three great evangelists in the first generation of the Mennonite Brethren in Christ with Eusebius Hershey and Andrew Good, Noah Detweiler probably visited every circuit of the Canada and Canada Northwest Conferences and most of those in Michigan and Pennsylvania. Ezra Eby pronounced his preaching “plain, practical and impressive.” He witnessed the conversion of hundreds of people. 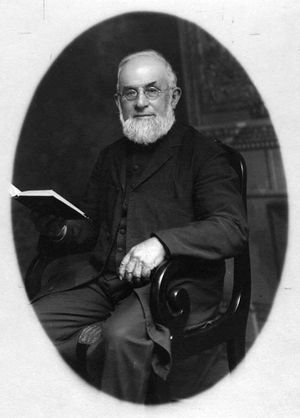 Noah Detweiler’s last missionary work was leading the MBiC Canada/Ontario Conference move into Toronto from 1897, where he helped establish two congregations east and west of Yonge Street, and attempted a third in what was then northwest Toronto. One congregation continued in 2014 as Wellspring Evangelical Missionary Church, for a long time known as Banfield Memorial. Noah was in frequent ill health from 1903, but never ceased preaching for long. He was a constant promoter of Wesleyan holiness. Detwiler, Noah. “How can we induce Outsiders to come...?” Gospel Banner (15 May 1887): 12. Detwiler, Noah. “Non-Conformity to the World.” Gospel Banner (15 May 1886): 1. Eby, Ezra E., Joseph Buchanan Snyder, and Eldon D. Weber. A Biographical History of Early Settlers and their Descendants in Waterloo Township. Kitchener, Ont: Eldon D. Weber, 1971: number 2290. Available online at http://ebybook.region.waterloo.on.ca/ or in multiple electronic formats at http://www.archive.org/details/biographicalhist02ebyeuoft. Good, E. Reginald. Detweiler‘s Meetinghouse: a History of Mennonites near Roseville, Ontario. Roseville, Ontario: Detweiler Meetinghouse, Inc., 1999: 32. Huffman, Jasper A., ed. History of the Mennonite Brethren in Christ Church. New Carlisle, Ohio: The Bethel Pub. Co, 1920: 232. Available in full electronic text at http://www.archive.org/details/historymennonit00huffgoog. “Obituary.” Gospel Banner (14 January 1915): 14. Sherk, Arthur F. Keeping Faith: A Centennial History of Banfield Memorial Church. Willowdale, Ontario: Banfield Memorial Church, 1997. Storms, Everek Richard. History of the United Missionary Church. Elkhart, Indiana: Bethel Pub. Co, 1958: 61, 88, 132. Fuller, Clare. "Detweiler, Noah (1839-1914)." Global Anabaptist Mennonite Encyclopedia Online. October 2014. Web. 20 Apr 2019. http://gameo.org/index.php?title=Detweiler,_Noah_(1839-1914)&oldid=135607. Fuller, Clare. (October 2014). Detweiler, Noah (1839-1914). Global Anabaptist Mennonite Encyclopedia Online. Retrieved 20 April 2019, from http://gameo.org/index.php?title=Detweiler,_Noah_(1839-1914)&oldid=135607. This page was last modified on 12 August 2016, at 19:15.